This Forever Lasting Collection Fits Perfectly In Just About Every Decor. The Diamond Ring Pattern Features Oven-Bent Panels In Hues Of Honey And Amber Which Are Enhanced By An Exquisite Blend Of Neutral Toned Stones And Finished In A Stately Burnished Copper (Bc). - LED Offering Up To 800 Lumens (60 Watt Equivalent) With Full Range Dimming. Includes An Easily Replaceable LED Bulb (120V). 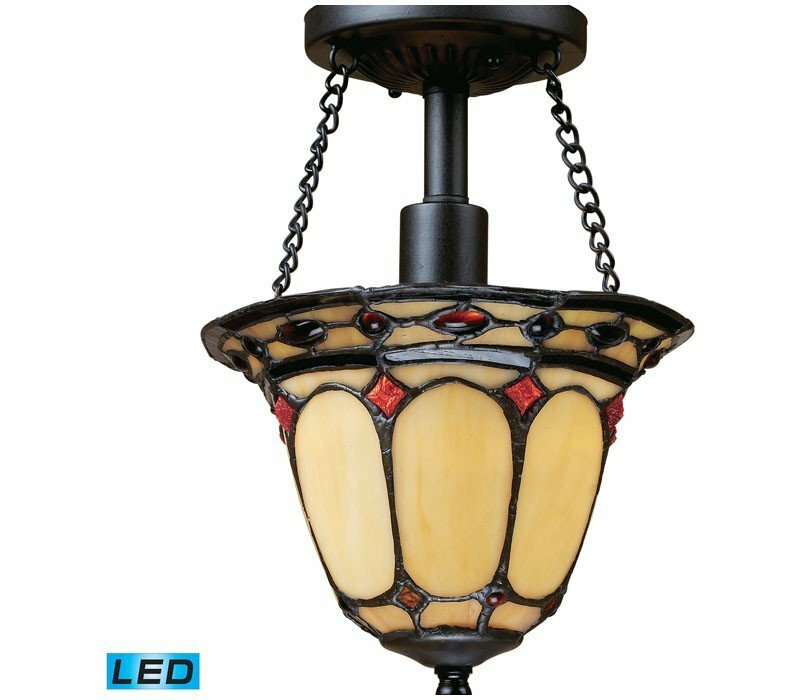 The ELK 70089-1-LED Diamond Ring collection Close to Ceiling Lighting in Burnished Copper uses LED light output and brings Antique style. The total wattage is 13.5 and the voltage is 120 volts. The ELK Lighting 70089-1-LED requires 1 bulb (included). 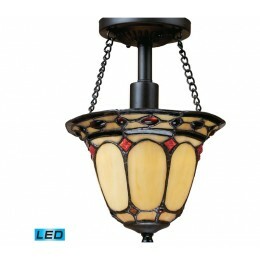 Additional Information: Shade-Tiffany Glass - Type 3.